Mold is not only unsightly, but it can also pose some serious health risks to you and your family. Mold is responsible for different health issues and also causes damage to your house. Here are 5 signs that you may have mold in the home. 1. Mold has a strong odor. If you smell a musty odor in your home, you more than likely have mold growing. It might smell like a pile of rotting wood or a very old book. The mold smell will be more pronounced in the areas where it is worse. In some cases, you might not smell it because you’ve become used to living with mold, so you may need to ask for an outside opinion. One of the best ways to determine if you have mold in your home is to look throughout your home for visible mold. If you see mold growing in one location, it can easily spread to other places in your home. Common areas for mold are in rooms with faucets, on the ceiling, and under sinks. Mold can look like dark spots or streaks of brown, black, or green. Sometimes, it is white and fuzzy, or even orange. If you are having unexplained health symptoms, mold could be the cause. If you are severely allergic to mold, you may find yourself having dizzy spells, headaches, and short-term memory loss. Your doctor may suspect you have a cold, but if the symptoms worsen when you are at home, it’s a likely sign there is mold in your home. If you have had any water leaks in your home, you more than likely have mold growing as a result. It does not take much moisture to create mold. A simple loose connection where the water is dripping under the sink can cause mold. You could have a roof leak that slowly seeps into your ceiling, which would also cause mold. Mold often grows after a home has experienced a flood. If you have had flooding recently or in the past, pay extra attention to other signs of mold in the home. Once an area has flooded, it is difficult to get rid of all the moisture. 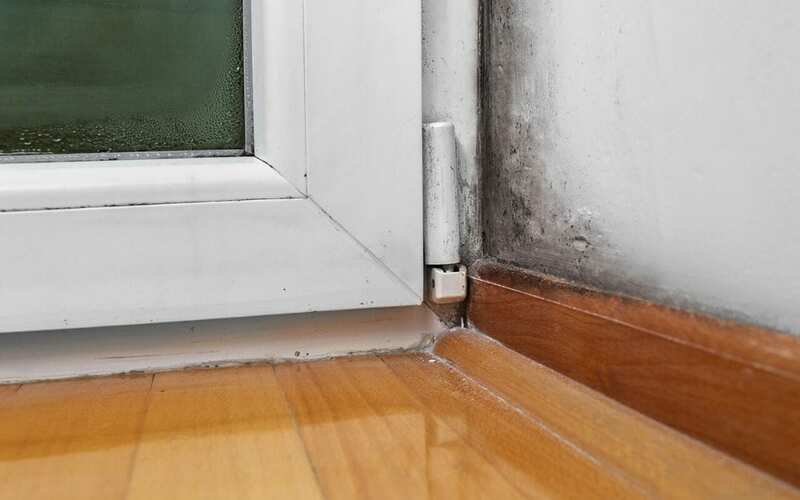 If moisture sits, it invites mold to grow. Even if you dry the area, you may have not dried it well enough. If you find any signs of mold in the home, it is important to call a professional for a mold screening. Contacting a home inspector who offers this service is the first step to getting rid of mold in your home. Manning Home Inspections offers mold screenings to Palm Beach County and Northern Broward County. Contact us to schedule a mold screening.